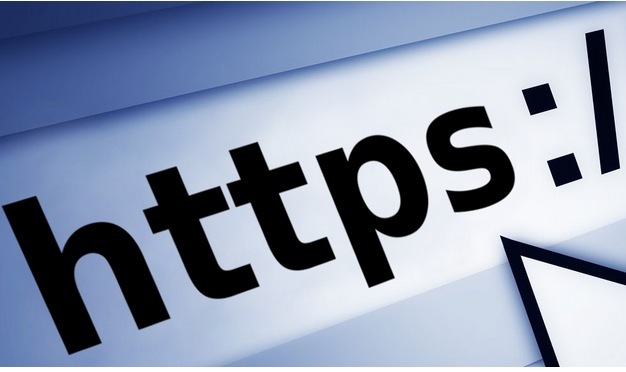 Home » Digital News » Google wants your website to be secure! Have you ever heard of https? Of course, what a question. Probably you thought that using such a secure protocol was requested only by e-commerce websites or more in general, transactional (dealing normally with a two-way communication: user-client). This protocol ensures the information exchanged between the server (website) and user (client) is encrypted and secure from malicious users, or simply put, hackers. Up to date, a lot of websites have been compromised due to many flaws in their (outdated) architecture, coding, server and user misbehaviour, leading to millions of sensitive data being stolen all over the internet. So, who to trust when surfing the web? Well, Google steps up and simply says: me! Of course, you might have noticed (if not, shame on you!) that I have already implemented it into my website as a test, to see if there are actually any benefits from adopting it, being that I don’t allow anyone to register nor do I sell anything on the website. So, how does SSL work? Now, I can’t hide that while for me it was quite easy to implement it, I can imagine that many of us aren’t so familiar with installing secure certificates, being that it’s not your everyday job. And to add more to the chaos of the first hours, SSL certificates come in various forms and prices, such to confuse even the most expert questioning what type of ssl certificate he needs. No doubt this will make the fortune of those companies selling ssl certificates for websites and all sort of other services (secure email certificates for instance), but hey, at the end of the day we all want a more secure place to spend our time… at least for a little while. So, are there any free SSL certificates that we can use/install in our websites? Luckily, yes, and they have all the requirements that Google wants. One of them is StartSSL which gives a free ssl certificate for everyone. The procedure requires a little bit of patience, but the result will pay off. On some servers, installing it will not be an easy thing, and depending on the level of access you have to your hosting/domain control panel, it may require an expert to install it. The paid version, which is the one I personally recommend, allows you to buy a cheap ssl certificate for your website at NameCheap. The main reasons I picked their services is because they have a really friendly interface and to be honest, best prices so far. And of course, their support is just great. How quick will Google start deploying this? The good news: it has already started some months ago. The bad news: you’re running late already! Feel free to contact me or comment if you have any questions, will be glad to help. Previous post link Google Search censored: where are we heading? Next post linkDoes Google care about its own tracking?